Bloomington, MN – MatrixCare®, the industry leading EHR for long-term care and senior living providers, has joined Carequality as a founding member. Carequality is an industry collaborative dedicated to accelerating progress in health data exchange among multi-platform networks, healthcare providers, and electronic health record (EHR) and health information exchange vendors. MatrixCare is the only founding member dedicated to providing solutions to skilled nursing and senior living providers. John Damgaard, MatrixCare President and CEO, commented, "MatrixCare is focused on person-centered, longitudinal care which requires health data exchange across the care continuum. 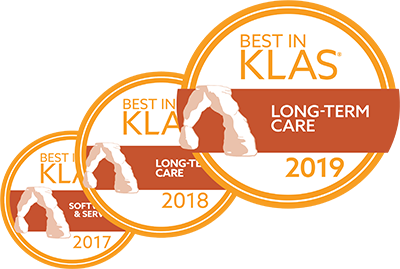 We are proud to be representing and advocating for long-term care providers as a founding member of Carequality." Carequality will build industry consensus regarding implementation of a core set of capabilities that enable connectivity among existing networks, including implementation-level functionality, standards-based technical and testing requirements, trust policies, and operational practices for inter-network connectivity. This interoperability framework will lower costs and ultimately improve health outcomes by enabling person-centered, collaborative care. The MatrixCare Connections program is another example of industry leadership and innovation relative to interoperability. This program formally certifies the interoperability between MatrixCare and third-party systems and service organizations that are critical to providers, ensuring the integrity of information flows that often include Protected Health Information. MatrixCare Connections provides an open, cloud-based platform that supports integration between MatrixCare and third-party applications, devices, and systems, allowing providers to aggregate data from across the LTPAC continuum into the MatrixCare EHR. MatrixCare solutions have powered the long-term care continuum for over 30 years. MatrixCare is the largest LTPAC technology provider in the US and the first to offer a true full-spectrum solution. Used in more than 12,000 facility-based care settings and 2,000 home care and home health agency locations, MatrixCare’s solutions help skilled nursing and senior living providers, life plan communities (CCRCs), and home health organizations to prosper as we migrate to a fee-for-value healthcare system. Visit www.matrixcare.com and www.carecommunity.com for more information.